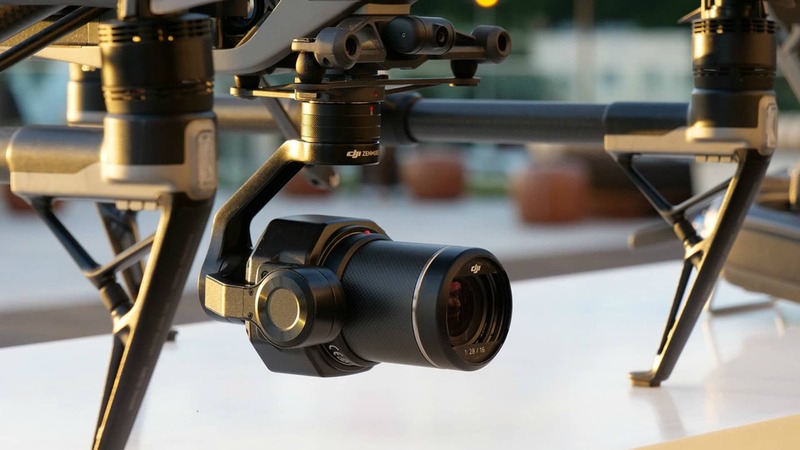 DJI released Zenmuse X7, its latest camera offering for use in the drone market. Weighing in with a light 449g (1lb) body, this impressive camera packs an exciting suite of features. With the pace of advances in drone tech increasing over the last number of years, the imaging world has had to skip smartly to keep up. And with UAVs getting ever more compact, issues of weight & balance have become a huge consideration for pilots looking to sell their content in a competitive market. In the recently released Zenmuse X7, DJI offers a lightweight, compact unit that delivers an impressive quality product for a camera of any size, but the quality of image it can produce is enough to make the mouth of even the most demanding editor water. 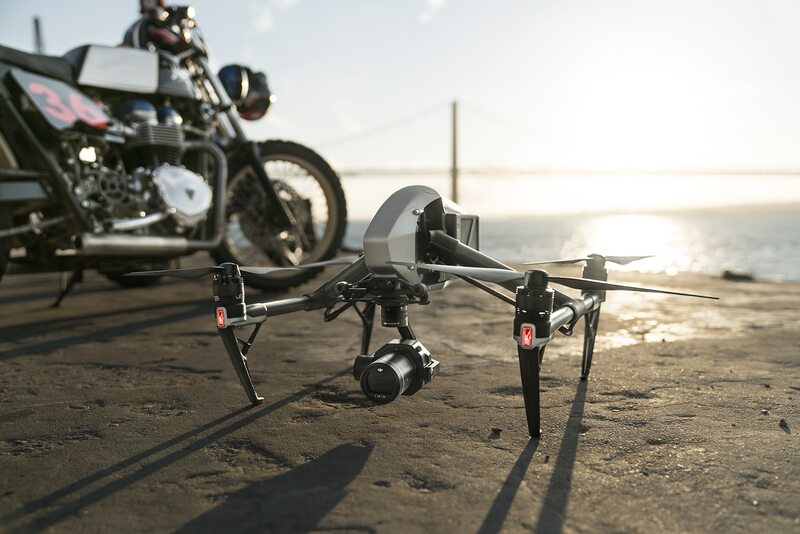 Built to work in harmony with the Inspire 2 drone, the camera comes in at only 631 grams (1.4 lbs) when fitted with the 16mm 2.8 lens, giving you a flight time of approximately 23 minutes. This is quite a lightweight body in comparison to most offerings in this category, but admittedly not as light as some of the compact action cameras on the market. However, there is a huge difference in image quality when you account for things such as the lens for a start, but we’ll get on to the lens in a moment. says Paul Pan, senior product manager at DJI. The Zenmuse X7 uses a Super 35 CineCore 2.1 sensor that has amazing sensitivity, giving you an impressive 14 stops of dynamic range and really smooth shadow details when shooting in low light conditions. It’s capable of capturing up to 6k video, and a new DJI Cinema Colour System (DCCS) renders stunning tones & depth across the spectrum. 6K resolution is pretty phenomenal visually. Now, I know you’re thinking that the consumer market is still trying to fill out with 4k screens and it might take a while before 6k becomes mainstream. Realistically, however, many productions are already shooting in 6k with Netflix for example, producing some of their ‘Originals’ in 6k keeping up with box office features such as The Avengers, The Revenant, and Transformers who also chose this format but even they are playing catch up with features like Guardians of the Galaxy Vo. 2 shot in 8k using RED’s Vista Vision Camera. As a stills photographer who has been shooting RAW files for as long as they’ve been available, I can firmly attest to the saying that “It’s better to have & not need than to need & not have”. Even if you’re not outputting your product in 6k the benefits of having the information there to draw from and to manipulate are nearly endless. The extra dynamic range is certainly visible when comparing the colour saturation and noise in the upper and lower ranges when shooting in 6k. Zenmuse X7 is an ideal camera for cinematographers and professional photographers alike from a colour perspective. DCCS features a new D-Log Curve and D-Gamut RGB colour space to give more flexibility and colour options during the post-production process. The D-Log Curve further extends the dynamic range, while the D-Gamut RGB colour space preserves more colour information to support the most demanding filmmaking scenarios, providing accurate colour for quick and easy post-processing. To meet the rigorous requirements of professionals, the Zenmuse X7 captures the highest image resolutions ever for an integrated drone camera. It is capable of shooting 6K CinemaDNG RAW or 5.2K Apple ProRes at up to 30 FPS, as well as 3.9K CinemaDNG RAW or 2.7K ProRes at up to 59.94 FPS to integrate seamlessly into industry-standard post-production workflows. There are four prime lenses available for this body. 16mm, 24mm, 35mm & 50mm, all F2.8 Aspherical lenses and offering resolutions of up to 8K. Made of ultra-lightweight carbon fibre, having this range of lenses in your bag should have you covered no matter what you’re shooting. Another nice feature is the impressive range of sensitivity. The ISO ranges from 100 – 25600 for stills, and 100 – 6400 for video at its maximum 6k setting. Shutter speeds from 8s – 1/8000s using the electronic shutter, and 8s – 1/1000s using the mechanical shutter allows you to play with either end of the scale, either dragging your shutter or capturing fast-moving action without motion interference. DJI began shipping the X7 in November, with a $2,699 price tag in the U.S. The lenses will be available for $1,299 each, with the exception of the $1,199 50mm lens. A complete prime lens kit will also be on offer for $4,299. You can find the full list of specs and FAQ’s on the Zenmuse X7 on the official DJI product page. Would I buy the Zenmuse X7? This is a well-built piece of equipment that deserves to be considered for that list of things to buy when you feel you’ve earned a treat or need to upgrade. The price range is not unreasonable for the spec on offer. It is compact and comparatively lightweight, and the range of available lenses will satisfy most creative visions. It is, however, the quality that swings it for me. It feels a little like the first steps from the old digital sensor in SLRs to the world of full frame sensors. The richness of colour and depth of detail and clarity in both the highlights and shadows paired with phenomenal optics, promise to deliver a quality product that will satisfy the most demanding of clients.